A bit of a good coach day today, busy but satisfying. A large chunk of today was spent writing training programs (which was the busy part). However, most of this morning was spent down Perth's rowing course where the latest round of the local Triathlon series was being held. For whatever reason this race was a bit of a quieter one in terms of entrants, just at a funny time of year I suspect, (plus the swim leg isn't that popular), however, that didn't stop it being a vibrant and fun event with some hot racing on display. From a Front Runner point of view it was also a bit of a quieter affair, with only 7 or 8 athletes competing, but those that did compete had a great day out with numerous podiums and a couple of personal bests. There were a couple of my athletes racing and both of them had pretty good days out. Not perfect as races often aren't, but satisfying events that achieved some of the desired goals. Kieron managed to nab third in his age group on the duathlon., which was a good back up from a half marathon PB last weekend. 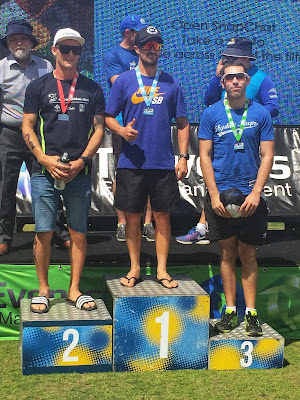 While Josh stepped on to the top step of the podium for this age group in the sprint distance triathlon, also backing up from his first Half Ironman last weekend.. 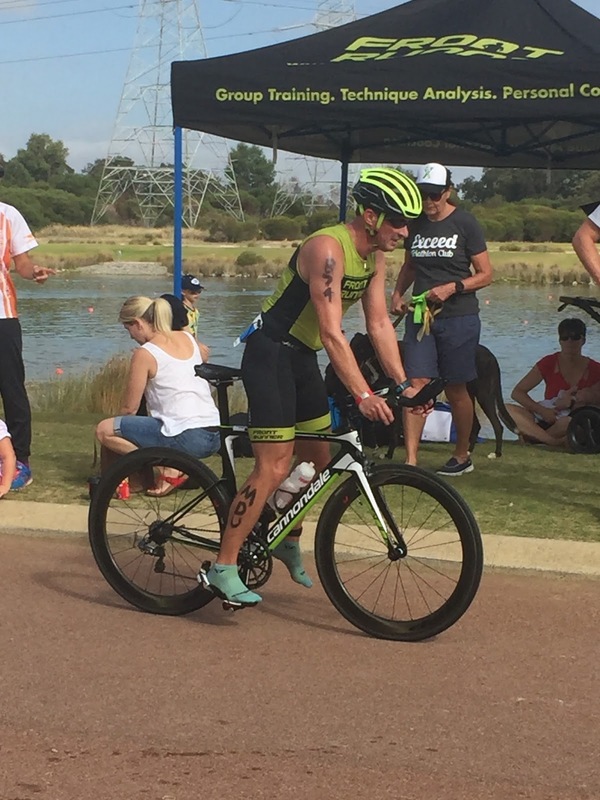 Particularly exciting about Josh's win is that I am pretty sure it will put him in the lead of his age group category for the overall series. With two races to go in the series he is in a pretty good spot. If he had received points for his win in the first race of the season (he didn't get points because he wasn't a Triathlon Australia member at the time) then he would be absolutely dominating the series at the moment. Despite the lack of first race points I think he is well placed. If we can put together good races in the remaining two races then he could be in with a shot.